What is a good portable air conditioner? Our criteria • The Air Geeks, reviews of air conditioners, dehumidifiers and air purifiers. A portable air conditioner is a suitable solution for transforming the environment of your space. 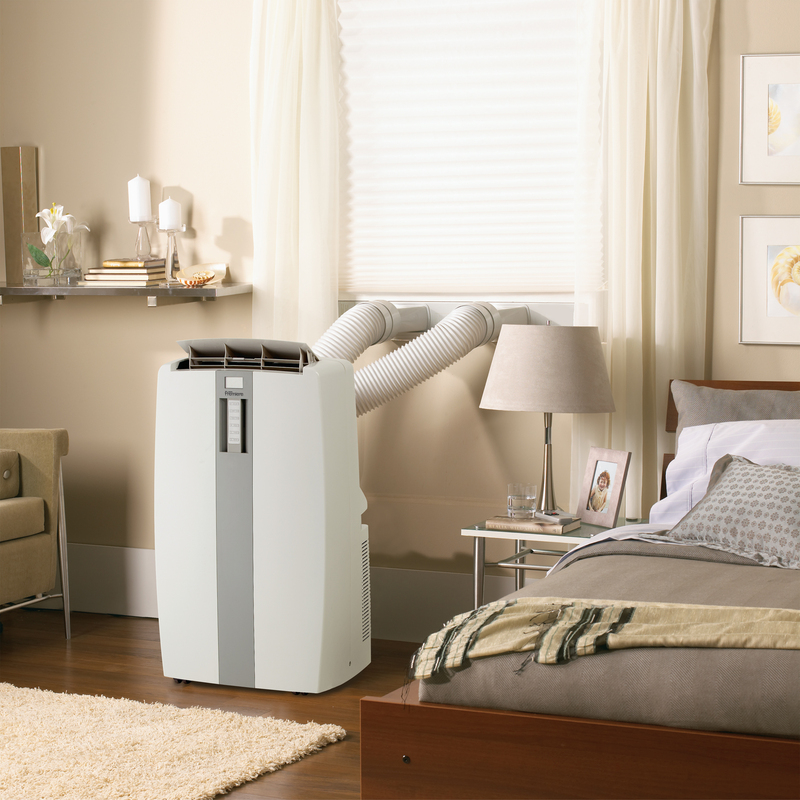 Unlike central air conditioning units, you can easily move a portable unit from one part of your room to another. In addition to portability, it is easy to install and maintain a portable air conditioner. A Danby mobile air conditioner at work! If you are planning to buy a cooling system for your bedroom, living room, or kitchen, you are most probably asking yourself what is a good portable air conditioner. Considering that you could be looking for answers to this question, we have researched to provide you with the most important factors that you should weigh prior to selecting a specific portable air conditioner. The cooling capacity of a portable air cooling solution is given in British Thermal Units (BTUs). High capacity solutions are designed for cooling large rooms while low capacity systems are suitable for small rooms. The power consumption of a portable air conditioner increases with an increase in cooling capacity. For best performance, you should select the capacity that the manufacturer recommends for your space. If you are buying a cooling solution for your bedroom or a living room, then you should go for the quietest system. The noise level of portable air conditioners is given in decibels and usually varies between 55dB and 70dB. If you select an air conditioner with high power requirements, it can significantly affect your overall power consumption. To avoid energy wastage, you should go for an appliance with the lowest power demands. In most cases, energy efficient units have an Energy Star logo. Strongly built appliances are most likely to last longer and their maintenance needs are lower. To avoid the stress that comes with buying a flimsy appliance, you should research well before selecting a particular air conditioner. Most portable air conditioners have additional functionalities and features. For instance, some have a remote control while others don’t have it. Instead of buying a separate dehumidifier or a heater, you can invest in a multi-function air conditioner. However, you should clearly understand your needs before selecting a muti-function system. A good portable air conditioner should meet your cooling needs without straining you budget or interfering with the environment of your space. If you consider the above factors, you will be able to identify the cooling solution that is best suited for your needs.